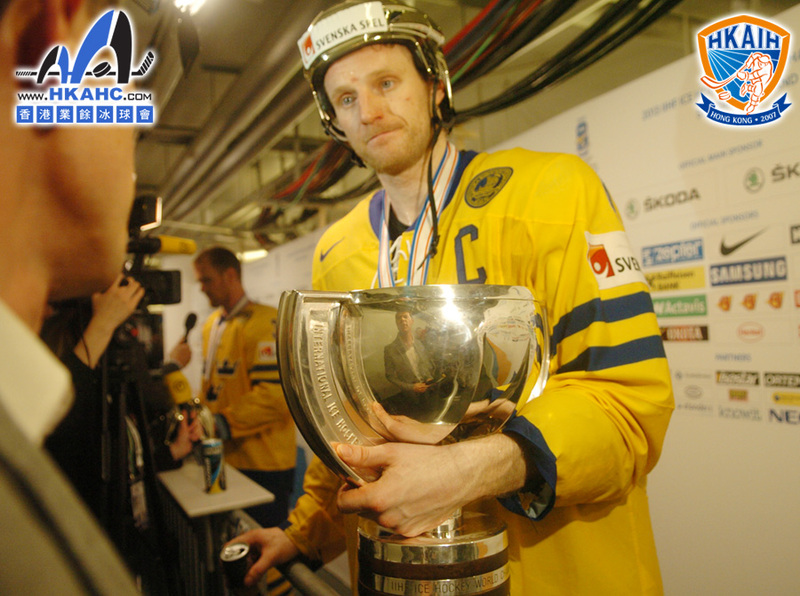 Hong Kong ice hockey finally returns to the world stage! 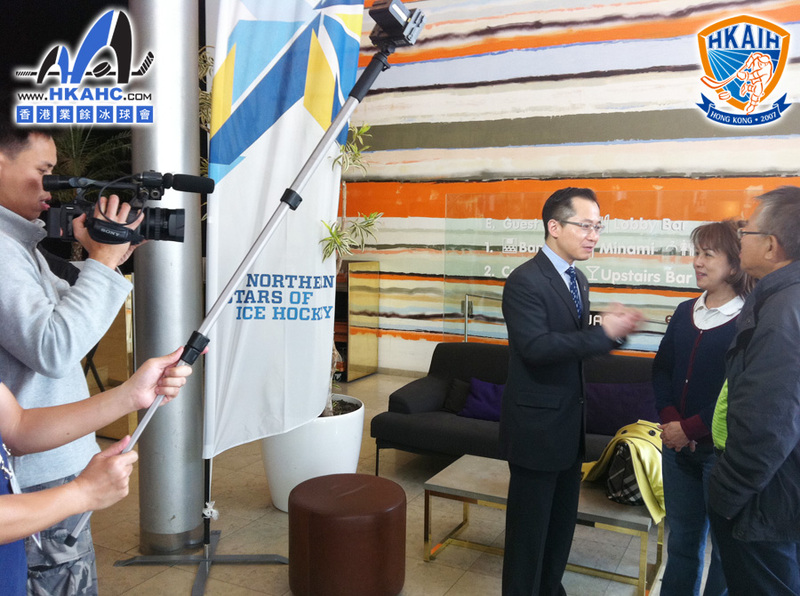 This uplifting news excites the whole community and it is certainly a shot in the arm for every ice hockey player in Hong Kong. 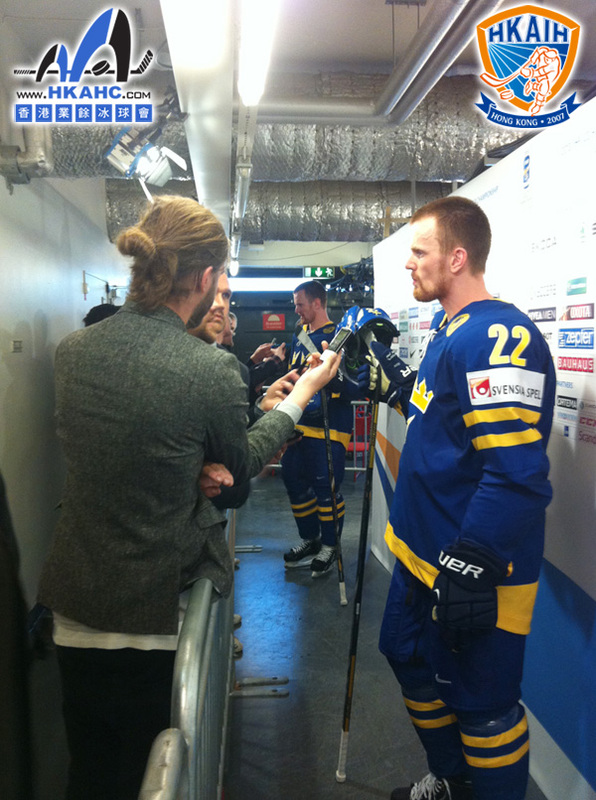 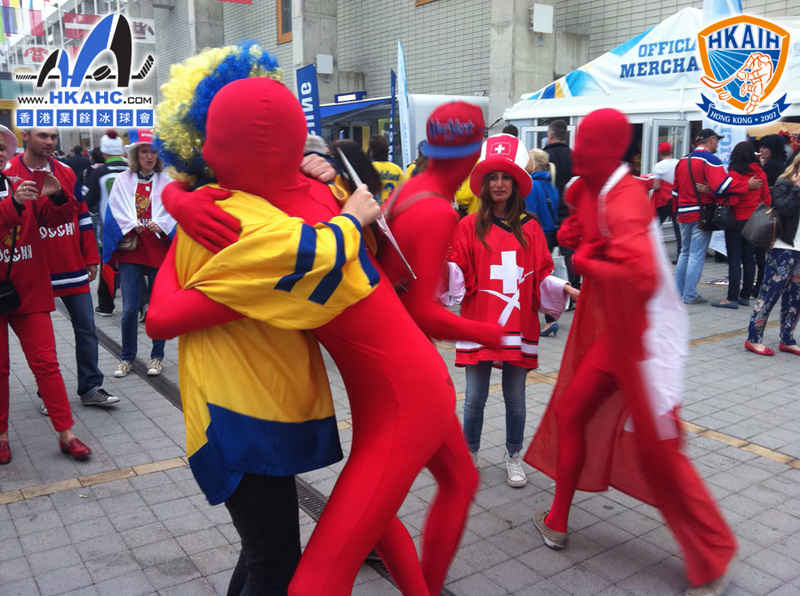 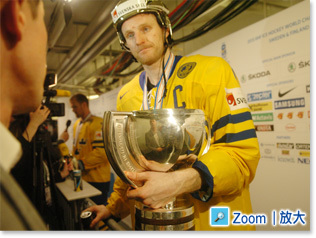 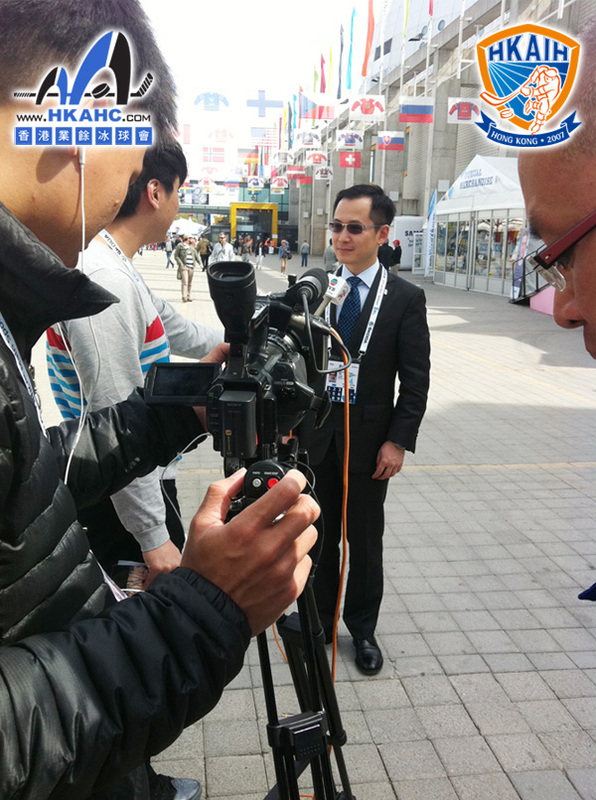 Hong Kong media traveled to Sweden and Finland in May 2013 to record the memorable moment at the 2013 IIHF Annual Congress. 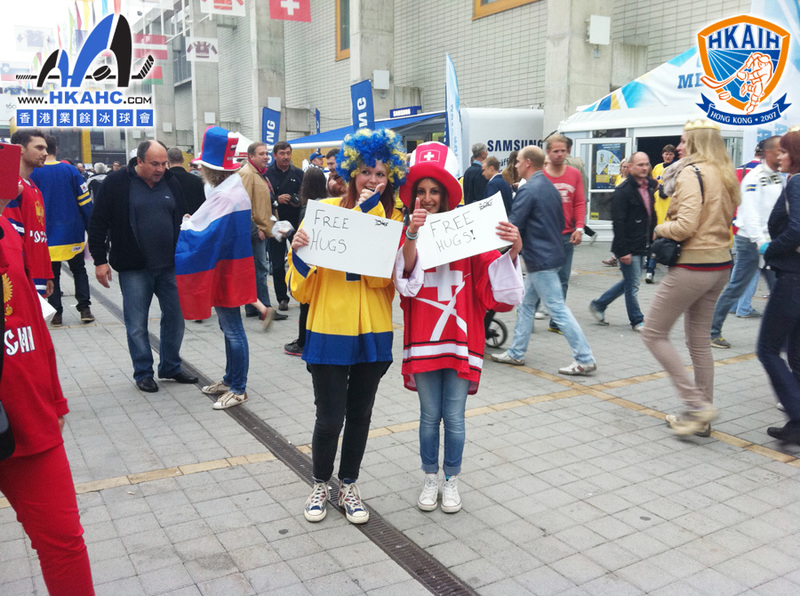 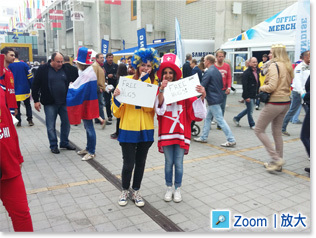 They also witnessed the finals of the 2013 IIHF Ice Hockey World Championship and met the newborn champion. 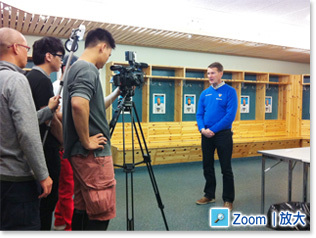 Globe Arena。Thomas introduces Globe Arena, the main rink for the finals, to the journalists and anchors of TVB Sports World. 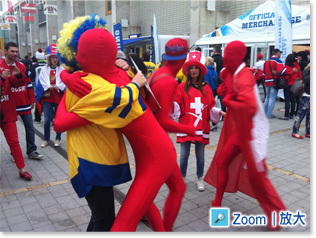 Fans cheer for their favourite teams with fantastic props and make-up. 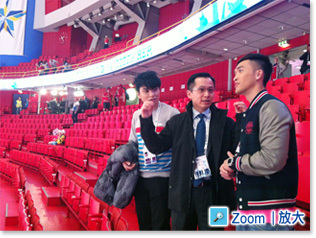 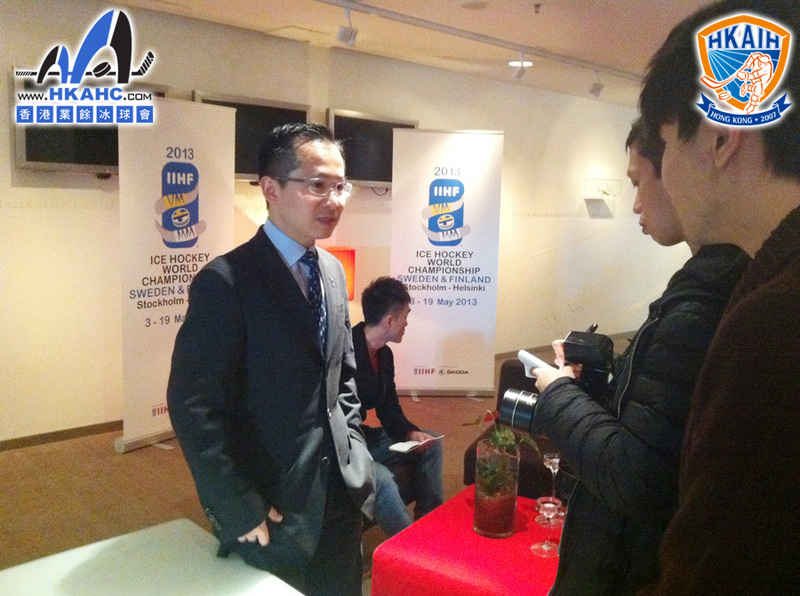 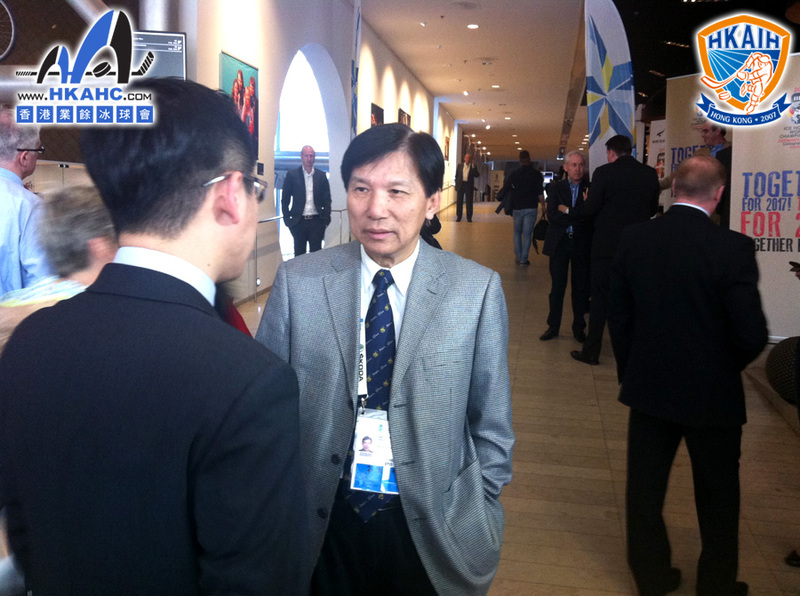 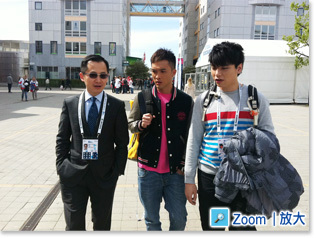 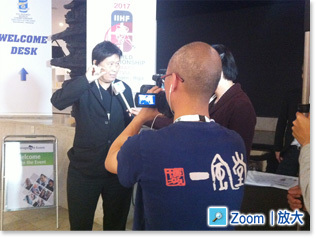 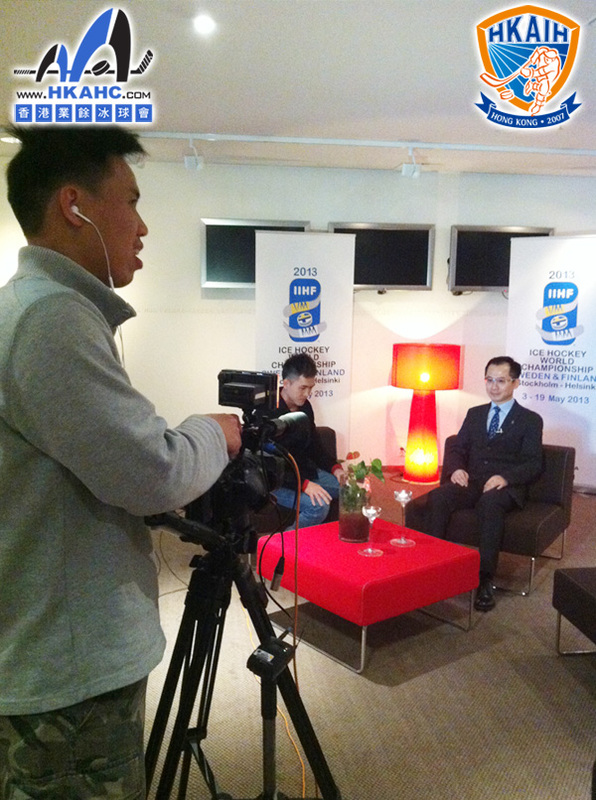 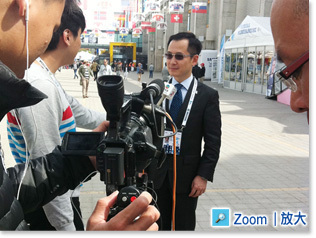 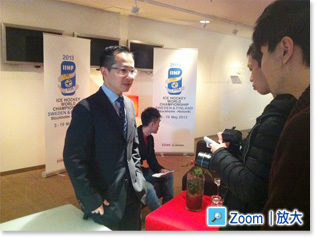 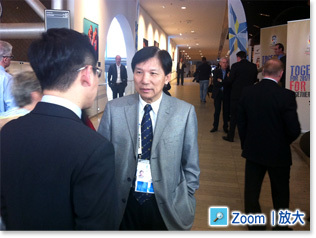 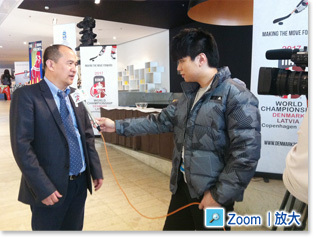 General Secretary of Chinese Ice Hockey Association Yu Tiande has interview with Hong Kong media. 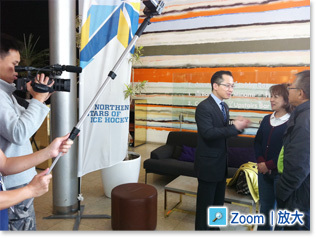 General Secretary of Malaysia Ice Hockey Federation Susan Loh exchanges ideas of ice hockey development in Asia with Thomas. 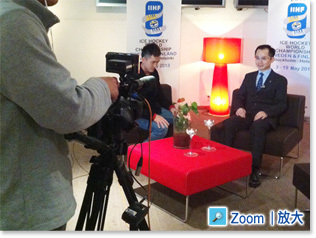 TVB interviews Thomas, Vice President (Asia/ Oceania) of IIHF and Honorary President of Hong Kong Ice Hockey Association, right after the IIHF announced that Hong Kong is qualified to play in the IIHF Ice Hockey World Championship. 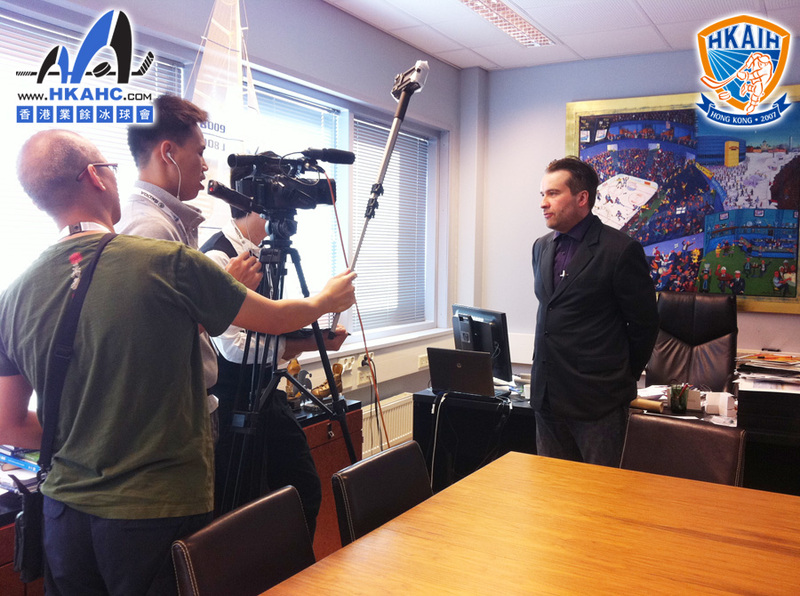 Thomas, as the vice president of the IIHF, announces upcoming championships and activities to ice hockey fans around the globe. 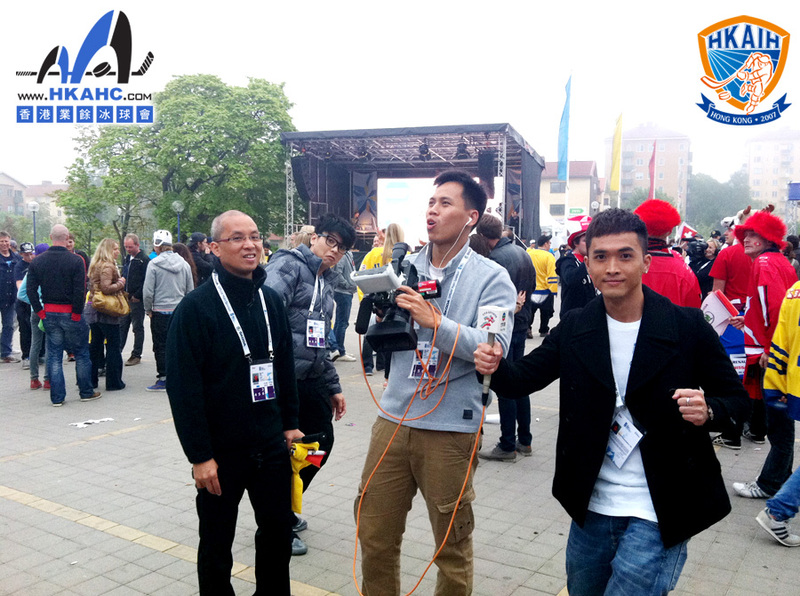 Journalists and staff from TVB and other Hong Kong media are cheered by the intenseness of the championship. 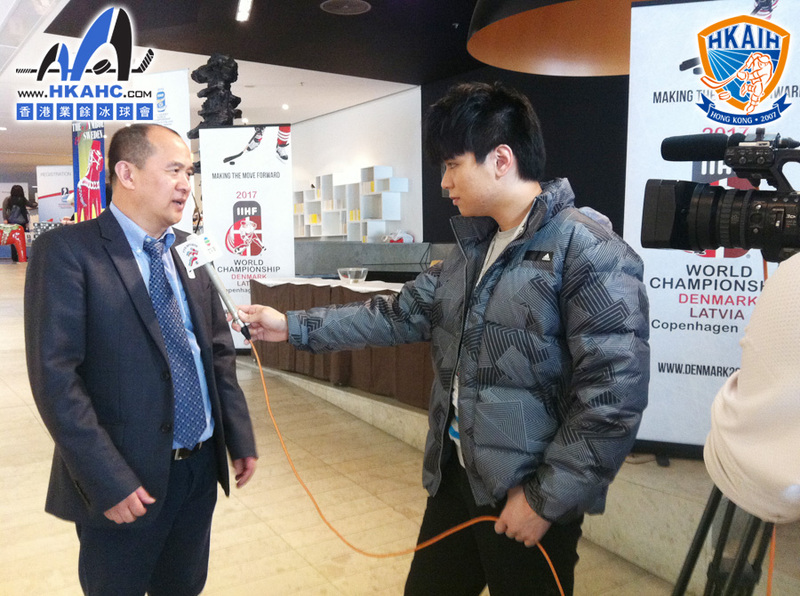 General Secretary of Chinese Taipei Ice Hockey Federation Rich Lee shares his experience on ice hockey development. 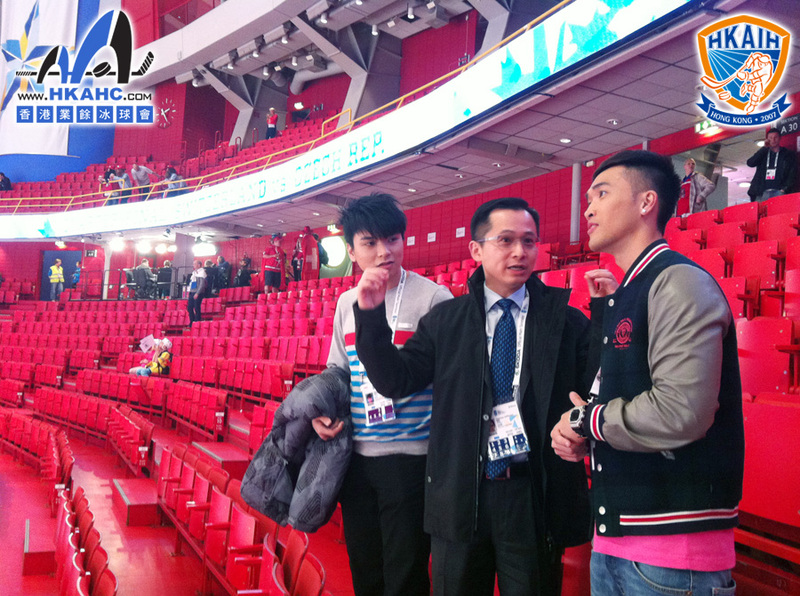 Winston Chan discusses how to strengthen the ice hockey development in Hong Kong and Macau with Thomas. 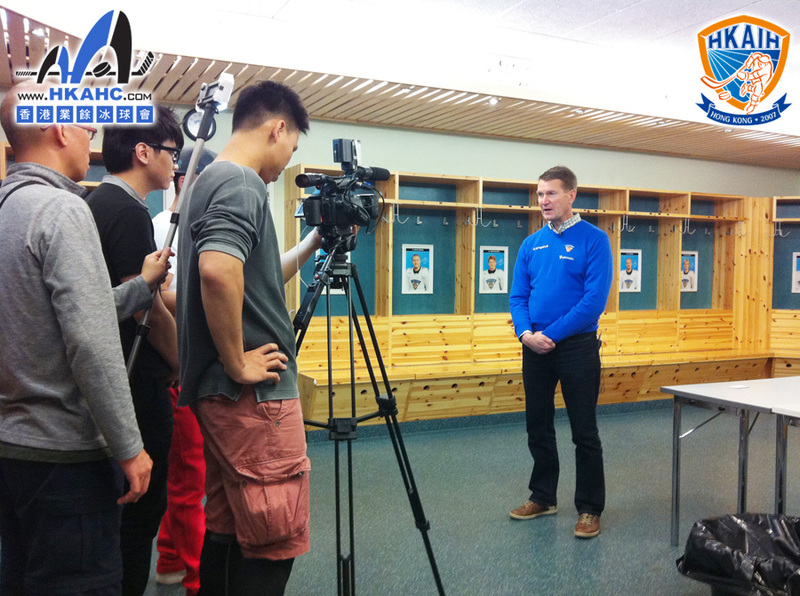 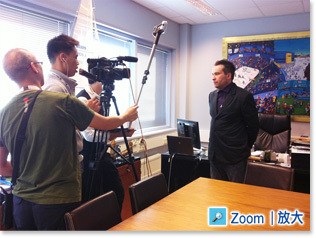 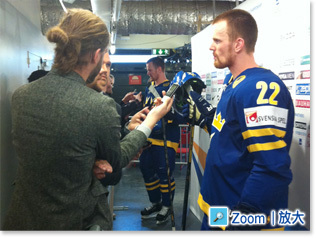 Erkka Westerlund, head coach of Finland Ice Hockey Team, has interview with TVB.